For the nth time, I missed this step in a new deployment, so blogging it down to remember for prosperity. Of course I will have to not forget to remember to this post. Control Adapters are not loaded in a SharePoint site. Repeat the above steps in other WFE-s and also in CA server. Now do an iisreset /start in all the servers. Clear your browser cache and the control adapters should load fine. I occasionally see tweets that Visual Studio 2012 is the best IDE. They have not seen IntelliJ. I was a fan of Eclipse for a long time and after working on IntelliJ, its hard to go back. Yeah.. you’ve heard that so many times. Visual Studio 2012 doesnt come close to that, because IntelliJ works with you, never against you. There are many things plain frustrating with VS2012 (an yelling all caps menu, lousy gray theme, even lousier icons and text and so on), the rants are all over the net, so I will skip them. Working on a SharePoint 2010 project with Visual Studio 2012, you might have seen the error “The name InitializeControl does not exist in the current context”. The problem happens when using sandboxed VisualWebPart, lets say DisplayWebPart.ascx, which should generate a ascx.cs file and a ascx.g.cs file. But a major bug is that the g.cs file is not often generated properly and even if you force regenerate (by manually deleting files from File Explorer), it creates DisplayWebPart1.ascx.g.cs (a mysterious 1 being appended the file name). Well try consolidating that with the TFS, if you still happen to use that archaic software as your version control system. There are several solutions on msdn, stackoverflow etc, but none really worked for me. After a lot of scratching around, I found a way that consistently generates the g.cs file, correctly. 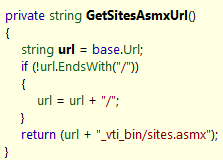 Right click on .ascx file, select Properties, and update the property “Custom Tool” to “SharePointWebPartCodeGenerator”. Right click on the .ascx file and click Run Custom Tool. At this point, if the “DisplayWebPart1.ascx.g.cs” is regenerated, your frustration is acceptable. Go back to Visual Studio 2012 and it asks to Reload the project (or Discard). Voila, the 1 is gone and the file should be now called DisplayWebPart.ascx.g.cs. So whats the moral of the story? Inconspicuosness is directly proportional to frustration. Like having a valid working reachable Site Url to regenerate a local designer code. The biggest advantage of SharePoint is probably the lack of useful official documentation. Thanks to it, numerous blogs and forums propose solutions and answers to more numerous problems. Some of them work, several don’t, as problem domain is always vastly huge when compared to the answer domain. For example, a simple combination of misbehaving USB driver + a command window open in non-Admin mode + an IIS session stored in-proc + neighbor’s dog’s wheezing bark + Saturn in conjunction with Mars in Aries constellation – all these could combinedly error an API out in SharePoint. And obviously no forum, let alone technical support, would be able to provide an answer to that. The programmer has to use the final weapon – perseverance. No matter what variations I tried – credentials, permissions, I always got the following error: “Cannot contact site at specified URL http://sp:2010&#8221;. Luckily I had another web application in the same server. And that worked. So something must be wrong with this sharepoint site. This site was a migration from 2007, so first I thought it could be a possibility. So does this service work against a soap query? Also notice the 2nd and 3rd highlights. Both conditions (actually 3) throw the same exception and error message. So which one failed here? Was a non 200 http code returned? Was the responseContentType not text/xml? Or was m_formDigestInfo null? Pretty much written by a programmer who does not know the fundamentals of debugging. And thats probably why Microsoft’s code is closed, so strangers like me cant code review it. As a best practice, error conditions and error messages should have a monogamous relationship or else a dna test is required to find out who is whose child. I fire up soap-UI 4.0 and add the wsdl. Since the site is behind NTLM Windows authentication, a challenge request pops up, I enter the credentials for the site (in this case the farmadmin account) and nope – it does not work. I get a 302 Found error and thats followed by a 401 Unauthorized in the same trace. Well 401 is not what I got before. I try the same with the second web app but that works fine again. After turning on both the http log and error log in the soapUI, I conclude that the credentials may not be passed correctly. After reading this thread, I fire up Burp Suite, goto Options tab, check the “do www authenticate” option, add the servers and the user name/password/domain combination, turn the interceptor off. Well, the 401 is not there anymore, because the BurpSuite makes sure that the header contains the username/password. But the 302 Found still happens. <!-- <sessionState mode="SQLServer" timeout="60" allowCustomSqlDatabase="true" sqlConnectionString="Data Source=db;Initial Catalog=SessionStateService_f84b37c3424f46afa09cdacd278a95fa;Integrated Security=True;Enlist=False;Connect Timeout=15" /> --? This section is from the trouble-some site’s web.config. I uncomment the first line, comment the InProc mode line, recycle app pool and whoa! I get a successful connection. So the sessionState set to InProc mode is somehow influencing the soap query which is what the EnsureFormDigest uses and throws an ambiguous ClientRequestException. I don’t know why a seemingly unrelated sessionState causes an issue with soap query when trying to connect via console application. Thats probably a reflection for another Christmas day. Atleast it works now from Console. I had to make a slight modification while trying to do the same from a web application. From console, the DefaultNetworkCredentials works fine, but from a web app, you have to use the actual site credentials to connect to the site. The Title is a tribute to Perry Mason novels. My co-worker had written a form-based-authentication login page for a SharePoint application. The users are created in Active Directory and the usual frills of user account – login, security questions, change password, reset password et al. The app worked fine in dev environment, was working fine in Stage but one fine Monday, broke in Stage. The user was created in the AD, but was set in a disabled state and returned an error back to the application. It was working in Dev fine though. The web.config, wsp solution, content databases are all exactly same between dev and stage. The only difference was the stage environment had Windows Server 2008 R2 SP1, while the Dev was not. We decided to backout SP1 from stage and lo, it started working again. Could it be the sheer gravitons of SP1 cause to distort the user creation in the Active Directory? Since SP1 was causing the problem, we got the dev environment to the same SP1 patch level as stage. And yes, the user creation broke. Repeatable bugs are like flights crashing without casualties. Yeah, it crashed, but no one died. I started looking at the ULS and noticed there were no log statements. Coming from the Java world, I rely more on debug statements rather than run-time debugging. A friend of mine reminds me that in the .Net world programmers first put the solution in Debug mode, then start writing the code. But here the log statements were there in the code, yet were not written. The above code wont work, because the correct usage of the extension is ex.Unroll(), not by a static method call. Once I fixed this, I could see the actual errors in ULS. System.DirectoryServices threw exception with an error code 0x80070005 (ACCESS_DENIED) while invoking SetPassword. I double checked that the ldapUser has identical permissions in dev and stage. How can the user be created but still access denied? More importantly, WHO is being denied? Certainly not the ldapUser. Obviously IUSR does not have permission to set the password. But why was it working in dev, before SP1? When I tried in another environment without SP1, the current Windows Identity was the same as the Application Pool user for that SharePoint Web Application and not the IUSR. Google-o! Er.. I mean, Bing-o! 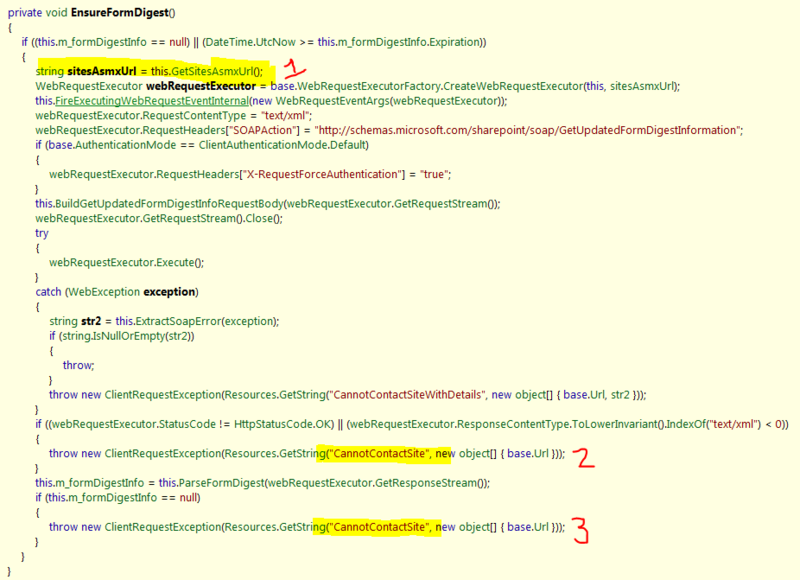 Back to dev with SP1, I set the impersonator to false, and now I saw the current identity as the Application Pool user! W2k8 R2 without SP1 was not respecting the identity impersonator flag. Obviously without SP1, the IUSR anonymous user was having access to create an user in active directory, while SP1 prevented it. The impersonation is not required when you are creating user using the ldap service user and password, who already have access. To me it looks like a security hole (pre-SP1). I could not find any online documentation or release notes mentioning about this. If you know of such documentation, please drop a comment!